Our London distribution is handled by the excellent Richard Sanders, Master Butcher and Meat Specialist for Classic Fine Foods, UK. You can contact Richard or any of the Classic customer service team via this link. We don't just have an "exclusive" client list who we supply, such as top restaurants including Chamberlains, Kitchen w8, Petrus, Nobu and Shangri-La. You too can buy our meat or meat products, such as sausages, joints, steaks, fat or black pudding and much more. Our black pudding is available at Fenwick foodhall in Newcastle and from Wholefoods London stores including Piccadilly Circus, Fullham and Kensington. We sell online via "Alternative Meats" and you can make a purchase via their website. Simply follow the link or click on their logo. Alternatively you can contact us via the information on the right of each page and let us know what you are looking for. 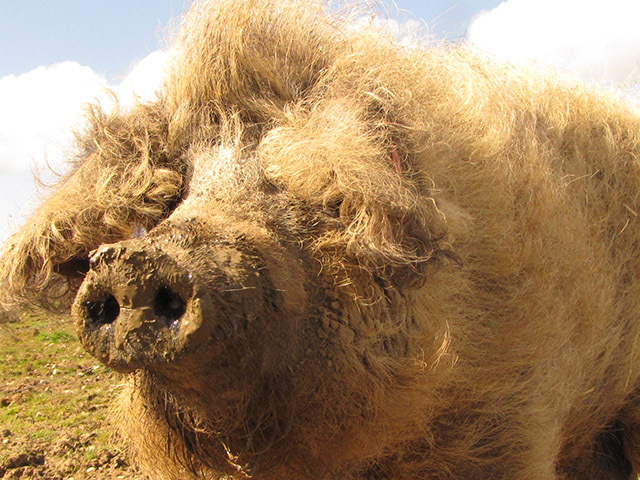 Then you too can enjoy wonderful Mangalitza! Also if you have any other questions, please do not hesitate to contact us.